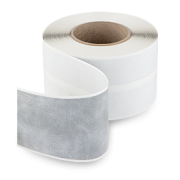 This wide, self-adhesive, flexible, rubber butyl tape has a geotextile backing and is generally used to seal all damp proof membranes together where they join or overlap. 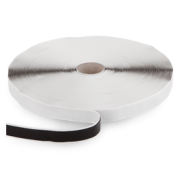 The waterproofing fibre tapes major advantage is that it has been designed so that it can be easily plastered, rendered or painted over, unlike the other butyl tapes. 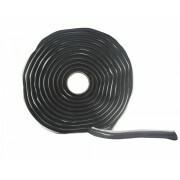 Waterproofing tape that seals interlocking damp proof membranes. Our waterproofing tape is an essential product for anyone who is undertaking work with waterproof membranes. Our Multipurpose waterproofing rope is a great tool for any damp proofing application.